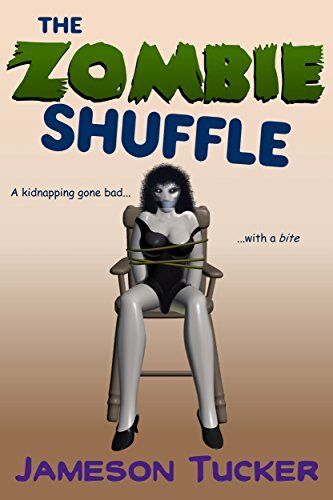 David and Vincent’s kidnapping of a wealthy banker’s lovely wife should have worked out as planned, except for one minor problem: The purloined powder they’d used to drug their victim has inexplicably, ever-so-slightly zombified her. It seems the rich hubby has wanted his wife dead from the start, and as such had been very slowly poisoning her, resulting in an unexpected reaction to the drug. Our hapless out-of-work kidnappers, meanwhile, find themselves suddenly wanting her very much alive, even if she is starting to slowly decay just a little. And, of course, there’s also that little matter of her increasingly amorous taste for human flesh. Now, stuck with a jarful of zombie dust and a hopelessly undead hostage, things are about to get very, very messy indeed. Nobody said that surviving a recession would be easy.